Eyebombing tonight? Count me in! 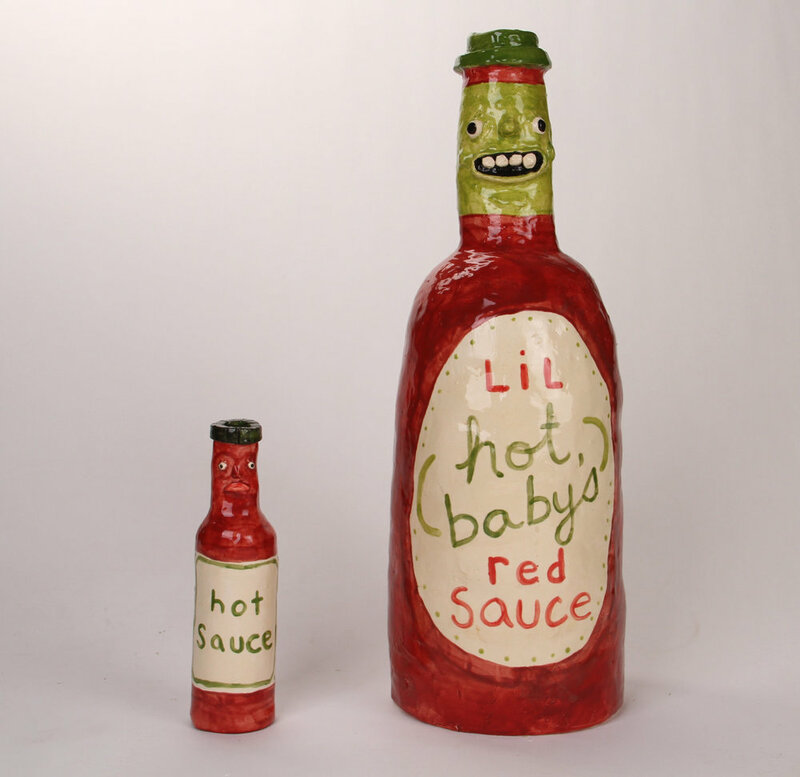 I am a true lover of inanimate objects with faces, including the art of Katie Kimmel. I bought a vase from her and keep it next to my bed filled with stargazer lilies. The dog's face is frozen in perpetual merriment, which I find very soothing a stressful day. Nothing matters! Everything matters! 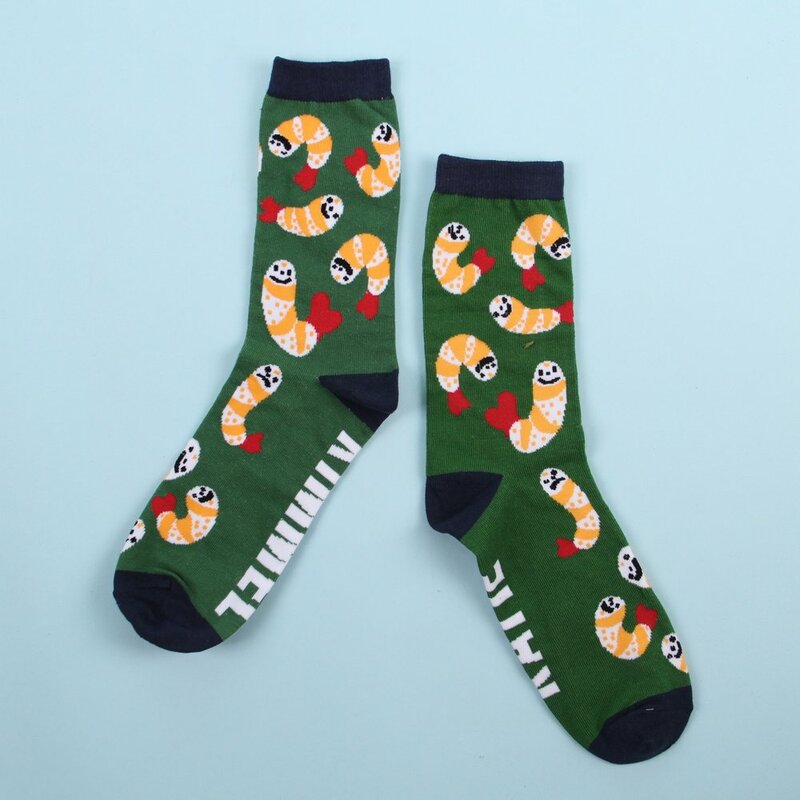 Here's a quick taste of Katie's work that I savagely pulled from Instagram and her website, where you can buy a pink Appetizer Sampler tee or Shrimp Socktails. Feast your eyeballs. Click around if you'd like another serving. Shop The Goods! Shop The Goods! 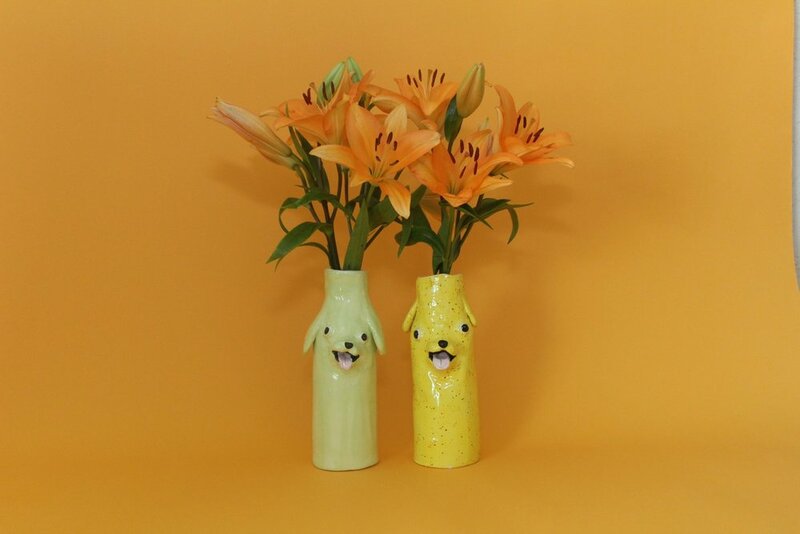 If you fall in love with her ceramics... TAKE A NUMBER! Those puppies go quick! My adorable runt was adopted at a holiday popup. Your best bet is hopping over to West Coast Craft Fair this June where you'll be able to meet Katie and TONS of other creatives in person. Tell 'em Large Marge sent ya! During an interview with Ochi, Katie mentioned Goodwill's online store, where I bet you can score some sick alabaster grapes. This was new information to me and I instantly fell down a rabbit hole. Thirty minutes later I was in a bidding on an old mailbox. An hour later I had followed click-bait to this Etsy account and contemplated buying a miniature pinball machine for an imaginary pet snail like @aleia's. I do try to be mindful so my home is only 15-45% "dumpy Pee Wee’s Playhouse / earthquake death trap" at any given time. Walking into a LUSH store is like getting punched in the face with 100 smells. I ventured over to the mall last weekend to test out this cup o'coffee business. It's very triggering—I immediately wanted to drink iced coffee in a tub filled with soggy coffee grounds. Katie's interview on Hannah Comacho's Podcast provided some context to her money saving tip for moving to the desert. I always appreciate hearing more about how artists make it work behind-the-scenes. Social media often glazes over the everyday grind. Don't see your favorite hideout on the list? Please send me a letter and tell me what's up 🐌📬Make sure to include a return address, so I can send some love back your way. Here are a few things I discovered while researching Katie's work. Admittedly, I had to google dog blueberry facial, but now I can confidently say that I support a full rebranding inspired by Pony! Thanks for inspiring me with your Funday Letter, Katie!